The Phoenix will never lose. At least, not permanently. Like the mythological beings after which they were named, each defeat only leads to the next rebirth—from which they rise, stronger and brighter than ever. The Phoenix are the wardens of the Empire's spirit, and so long as the Empire exists, the Phoenix will have a crucial role to play. We saw the first hints of their influence in the Core Set. We saw more introduced with the Imperial Cycle and the Elemental Cycle, and the release of the Disciples of the Void Clan Pack saw the Phoenix take to the air, carried by their flaming wings. 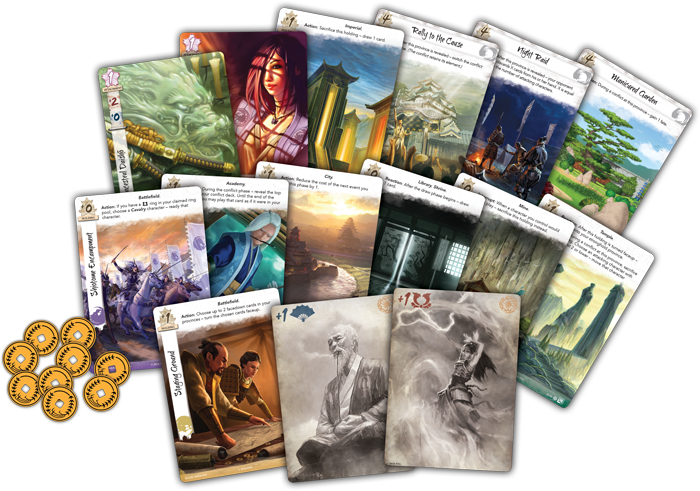 Now, we shall soon see the Phoenix rise higher and blaze brighter than before—with the 2018 Season Four Stronghold Kit for Legend of the Five Rings: The Card Game Organized Play! With each season of Legend of the Five Rings: The Card Game Organized Play, we see the Imperial Favor bestowed upon a different clan. The Emperor's decision is based upon the previous season's results and the results of the Clan Vote, and it determines which clan will benefit most from the Stronghold Kit's showpiece Imperial Favor cards—themed to match the winning clan. After 2018 Season Three saw the Scorpion Clan win the Imperial Favor—and nearly everything else—the Phoenix have risen up and claimed the Imperial Favor for Season Four. Accordingly, the 2018 Season Four Stronghold Kit will include, along with its other prizes, three plastic, Phoenix-themed Imperial Favor cards that will serve as the top prize for the season's Dynasty Leagues or Conflict Tournaments. What Will Come of Season Four? Blessed with the Empire's greatest shugenja, the Phoenix remain in close communion with the kami and attend to the balance of the elements. Now, as the elements have shifted out of balance, the Phoenix see other concerning signs as well—the increased Shadowlands attacks, the shifting night stars. Like Isawa Tadaka, there are some among the clan who see these omens as signs of something poised to strike from the south, from the Pit. And these Phoenix demand that the clan be prepared. Is this the time for the Phoenix to make their voices heard? Will the Imperial Favor carry them to success in the Imperial Courts? Will they be ready for whatever challenges they face on Rokugan's battlefields? Whatever happens, you can bet the other Great Clans will be doing their best to make sure their voices are heard, as well. They won't want the Emperor to turn away from them in favor of the Phoenix, and they'll be sure to send their greatest samurai to local game stores everywhere to participate in Season Four's Dynasty Leagues and Conflict Tournaments. Who knows? It might even be you who wins the day for your favorite clan. By participating in the season's Organized Play events, you can contend for the right to cast your Clan Vote. Yours might even be the vote that helps your clan win the Imperial Favor for Season One of 2019! The 2018 Season Four Stronghold Kit comes with prizes to support your local playgroup through three full months of Organized Play events, and as we suggested above, you can enjoy those events either as monthly Conflict Tournaments or as sessions in your weekly Dynasty League. The Stronghold Kit offers your event organizer enough flexibility that you could even switch between league play and tournaments from month to month. 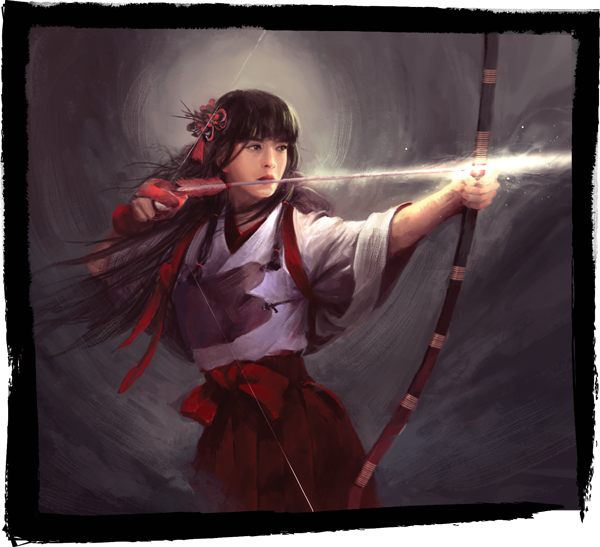 However you enjoy your Organized Play events, you'll find plenty of incentive to represent your clan with honor—to remain vigilant and to keep your wits as sharp as your blade. You can download the 2018 Season Four Stronghold Kit Event Outline below to review the entire list of Season Four prizes and their recommended distribution. In addition to the support it provides for your Conflict Tournaments and Dynasty Leagues, the 2018 Season Four Stronghold Kit contains all the prizes and information you need to run and enjoy a special Rise of the Mantis event. 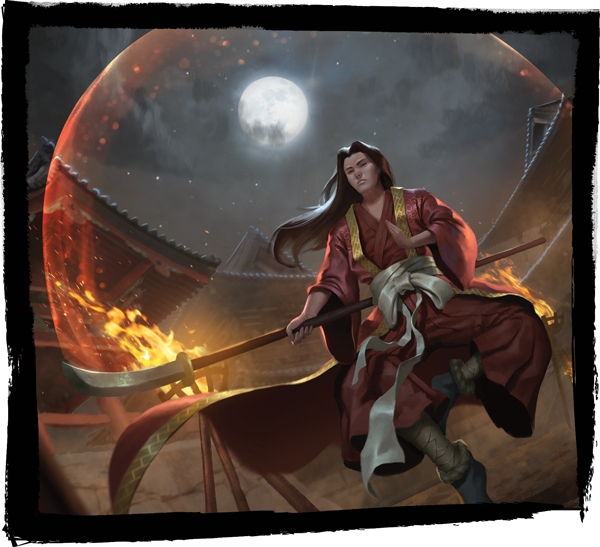 This competitive tournament serves as a fun and exciting complement to the season's other events, and it provides the perfect opportunity to celebrate the Mantis Clan's growing role in Legend of the Five Rings: The Card Game. 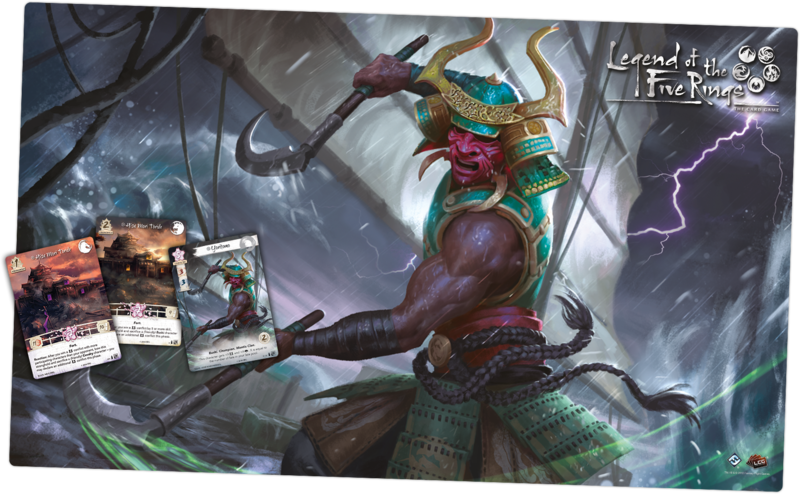 Additionally, the season's Rise of the Mantis tournament is your chance to contend for a double-sided, extended art version of Hisu Mori Toride, an extended art Yoritomo card, and a playmat featuring the Mantis Clan Champion in action on the main deck of a ship caught in a raging storm. 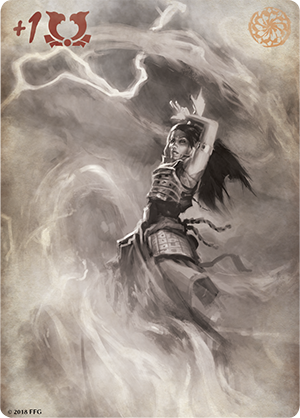 The Organized Play program for Legend of the Five Rings: The Card Game exists to help you meet more players, make more friends, and play more games. But it does more than this; it continues the game's longstanding legacy as a living community of players and developers working together to shape the future of Rokugan! 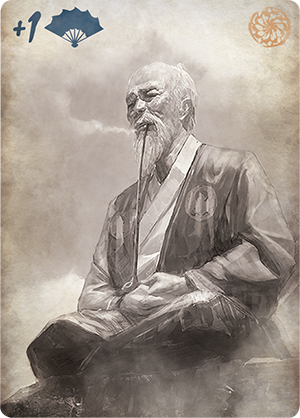 Whether you support the Phoenix Clan and its efforts to restore the elements or the Mantis Clan and its growing influence—or some other clan entirely, which you hope to help win the Emperor's Favor—your participation in Legend of the Five Rings: The Card Game is more than a chance to play the game. It is a chance to guide the game—to live and breathe the essence of Rokugan. Contact your local game store to find your entry to the Emerald Empire. 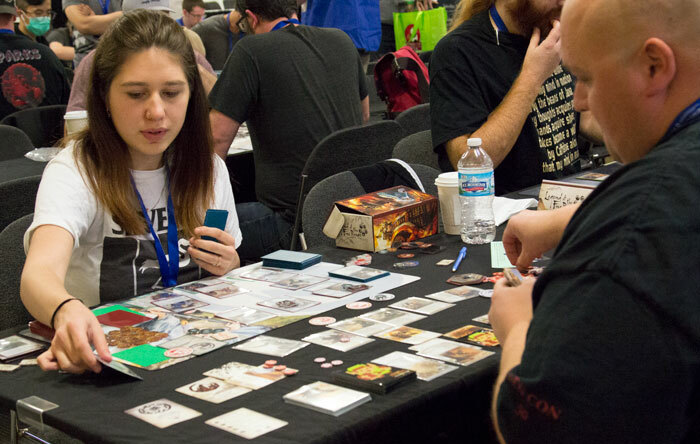 Ask them today how you can get involved with Legend of the Five Rings: The Card Game Organized Play!